Household cleaning is so much easier when you are equipped with the right tools and cleaning products. 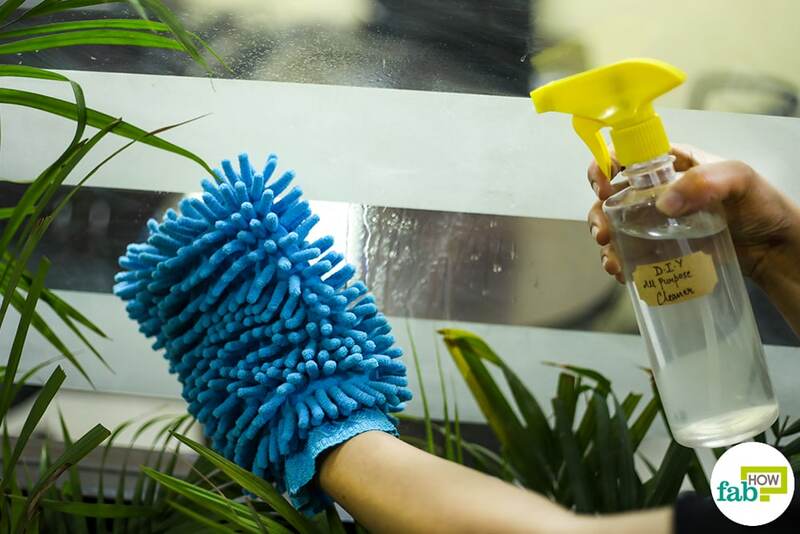 Glass cleaner, disinfectant, kitchen cleaner, dusting spray, degreaser – there is something for every corner of your house! But do you know what is better than having multiple cleaning products for dealing with various household cleaning woes? A single powerful all-purpose household cleaning spray! This versatile product works for everything – window panes, countertops, furniture, appliances – you name it! It can cut through grease and grime to remove stains. Just spray and wipe for a shiny, squeaky-clean surface. Moreover, it will ward off illness and infections by disinfecting your home. From shining up your dust-laden furniture to cleaning up spills on the floor, the all-purpose cleaner will take care of it. 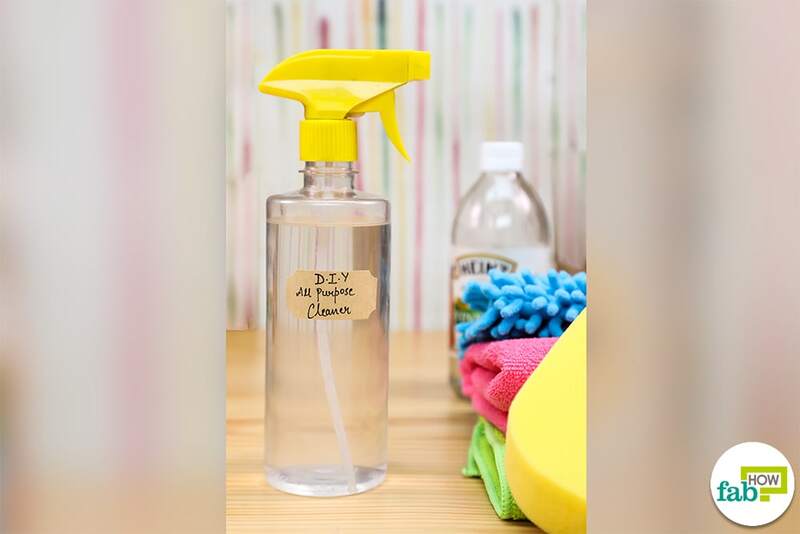 There are endless varieties of multi-purpose cleaners available in the market, but most contain ingredients you would rather keep away from your house. Sure, the harsh elements and chemicals in these store-bought solutions get the task done, but not without potentially harming your health as well as the environment. You can never be sure what goes into these cleaners and how much damage they are capable of doing. There’s a safer and more affordable way to get all that cleaning done without worrying about toxins or side effects. This homemade all-purpose cleaner is a combination of multiple natural ingredients widely used for cleaning. 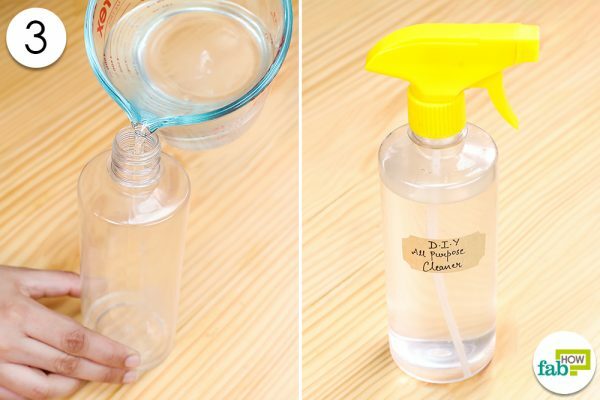 Here is how you can make your very own homemade all-purpose cleaner for all your cleaning needs. Take all the ingridients and mix gently. Pour 1 cup of vinegar into a jar or mixing bowl. Add 1 cup of distilled water. Add 1 tablespoon of baking soda. Add the essential oils and stir them. Add 30 drops of lemon essential oil to the mix. Add 10 drops of lavender essential oil. Transfer the solution to a spray bottle. The homemade all-purpose cleaner is ready to go to work. Use your homemade all-purose cleaner as you would use your regular household cleaning spray. Simply spray the solution on the desired surface and wipe it clean with a cloth. It is best to use a microfiber cloth for cleaning purposes. The all-purpose cleaner will clean and disinfect the areas where it is used. It will also refresh your house with its incredible fragrance, thanks to the lavender and lemon essential oils. Vinegar: White vinegar, or spirit vinegar, is obtained by fermentation of distilled alcohol. This common household ingredient is popularly used for cooking, cleaning, skin care, among other things. With its acetic acid content and low pH level, vinegar can help get rid of most household stains. It cuts through grease and grime and has mild antiseptic properties. It also helps tackle mold and mineral deposits and can be used to get rid of unpleasant odors. If you plan to switch to green cleaning, vinegar is the perfect ingredient, to begin with. It can be used to clean hardwood floors, tiles, windows, carpet stains, kitchen appliances, shower curtains, glass, upholstery, wooden furniture and more. It can easily remove hard water stains from your bathroom and kitchen, too. The disinfectant properties present in vinegar make it suitable for cleaning the kitchen. You may use it to clean and sanitize countertops, sinks, cutting boards, knives, and utensils. Vinegar is non-toxic, versatile, cheap, and readily available. You may not like the smell of vinegar. But don’t worry, the essential oils in this remedy will take care of this problem. Baking soda: Just like white vinegar, baking soda is also popularly used as a natural solution for household cleaning. Sodium bicarbonate, commonly known as baking soda, is a processed natural salt. What makes it useful for cleaning purposes are its stain-removing and deodorizing abilities. 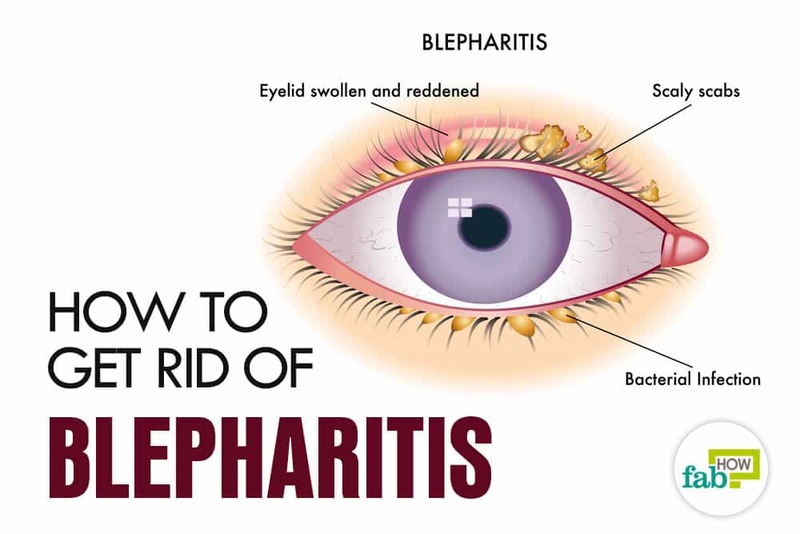 It also offers antibacterial and antiseptic properties. The mildly abrasive quality of baking soda adds to its stain-removing power. It will help you clean up sticky and greasy surfaces without causing any damage. It can be used for shining up silverware, unclogging drains, cleaning dirty surfaces, kitchen appliances, and more. If you are tired of using air fresheners to cover up unpleasant odors lingering around the house, use baking soda to get rid of this problem for good. It works by absorbing the odors, giving you better, long-lasting results. 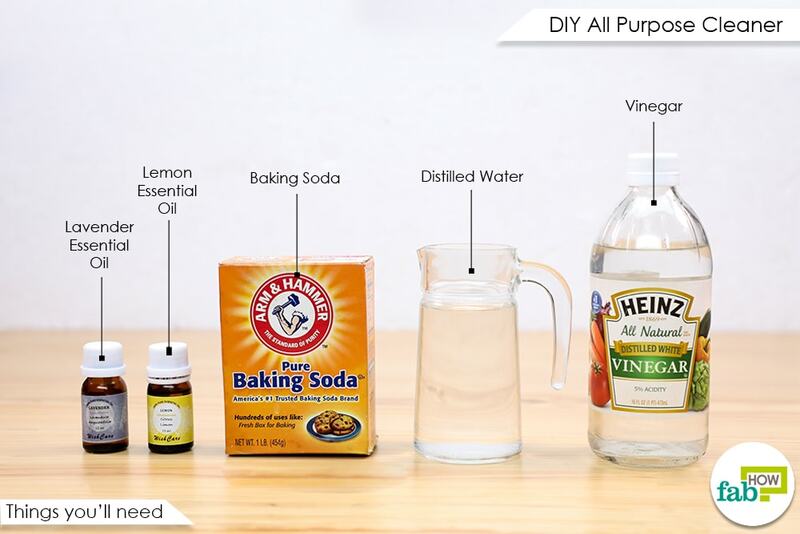 Baking soda (base) and vinegar (acid) produce a very interesting effect when mixed together (the all-time favorite volcano science project, remember?). This is also the reason these two ingredients work so well together. The foaming action caused by mixing vinegar and baking soda can aid in cutting through stubborn stains. Essential oils: Lavender essential oil comes with antiseptic, antibacterial, disinfectant and cleaning properties and is the perfect ingredient to boost the effectiveness of your all-purpose cleaner. The pleasant fragrance also will add a refreshing touch to your home. You can also add lavender essential oil to your dishwashing liquid, use it as an insect repellent or to freshen-up linen and clothes, among other things. Other than having an extremely refreshing fragrance, lemon essential oil is also useful in removing stubborn stains and spots. It works for most types of surfaces and has cleaning, sanitizing, and disinfecting benefits. It is a powerful and safe ingredient. Lemon oil will shine up your wood furniture, help remove tarnish from silverware, and get rid of sticky and greasy stains. It’s a good idea to test the homemade cleaning solution on a small area before putting it to actual use. 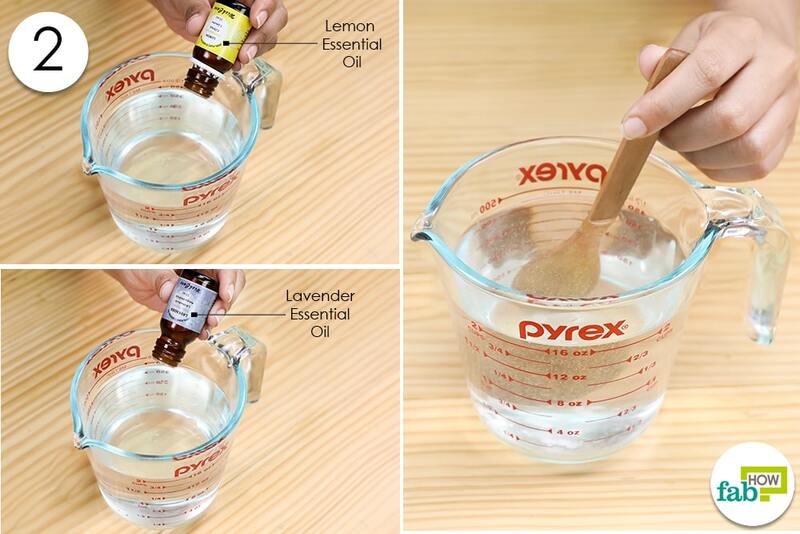 Vinegar and lemon essential oil may damage stone surfaces, including marble. Avoid using the spray on these surfaces. Although lemon and lavender essential oils are popular choices, you can use other essential oils in this DIY cleaning spray. Tea tree oil is a potent fungicide and can be used to get rid of mold and mildew. Regular use will also aid in preventing future mold growth. For best results, do a little dry dusting before using liquid cleaners. This can save a lot of time and effort. Make sure the rag or cloth you use for cleaning is lint-free, especially when you are cleaning glass, mirrors, or windows. Do not use paper towels, as these may end up creating more mess. Baking soda is an excellent replacement for commercial household cleaners. 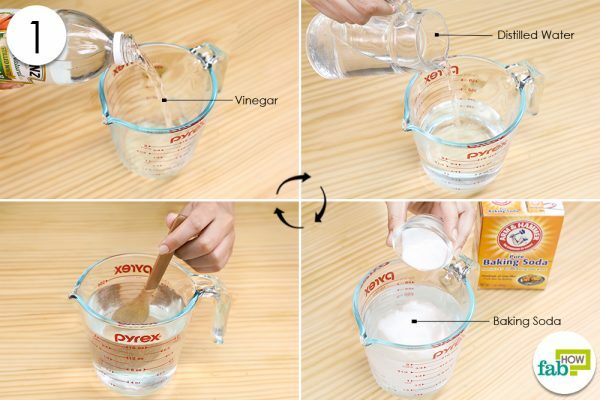 You may also use vinegar for several household cleaning jobs. Never mix commercial cleaning agents and homemade cleaning solutions. Have You Also Clicked Such Weird Selfies for Your Boyfriend?